The new Duo model is a sophisticated compact semi professional espresso coffee machine with the production capacity of a professional unit; proposed in DE version with 3 PID thermostats. 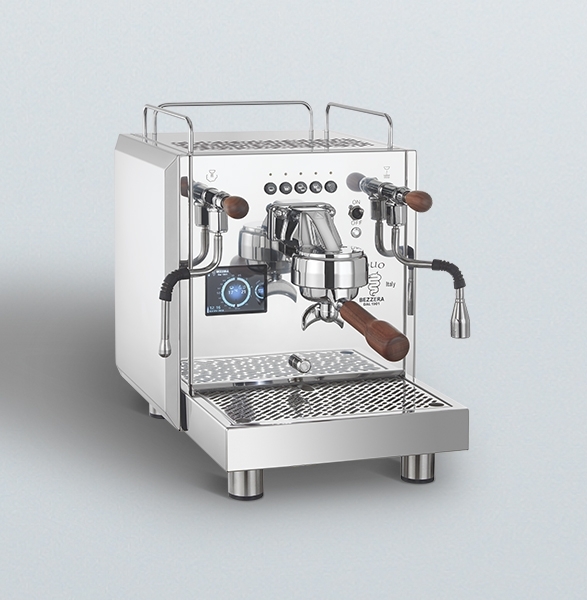 In the MN lever version it combines traditional "LEVER" technology with more sophisticated software and electronics that allow, through a 3.5" touch display, control over the double water heater system. 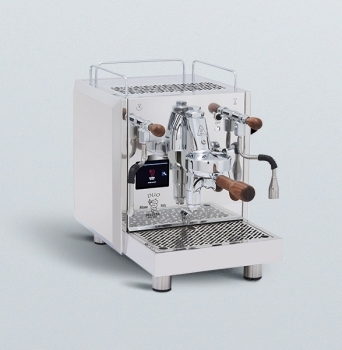 It works with the traditional manual lever unit: dispensing of the coffee begins by pushing of the lever upwards and stops by lowering it once the desired quantity has been dispensed into the cup. The unit is heated by the thermosiphonic circulation system with water coming from a small water heater dedicated to extraction of the coffee. 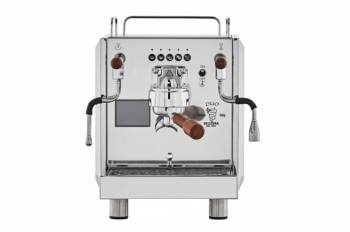 The temperature is controlled by a PID thermostat which ensures optimum thermal stability in the range from 88 to 96°C. The unit is heated by an electrical resistance which is activated by a PID thermostat that keeps a constant temperature. The second PID thermostat allows adjusting of the water temperature in the water heater dedicated to coffee extraction, which ensures optimum thermal stability in the range from 88 to 96°C. 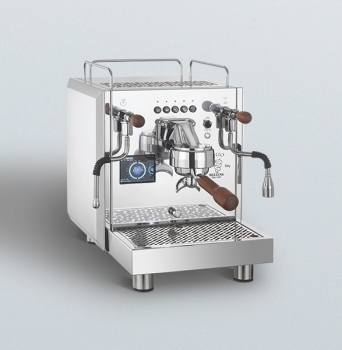 The steam/water circuit is connected to an independent water heater driven by a third PID thermostat that also allows maximising of the vaporisation power in the case of intensive use. 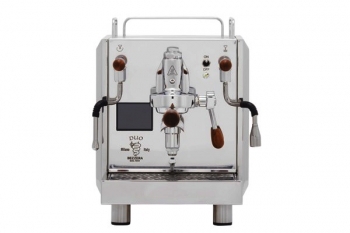 The DE version is fitted with volumetric coffee dispensing managed by microprocessor with 4 doses that are directly programmable from the keyboard; the fifth button activates the continuous dispensing operation. 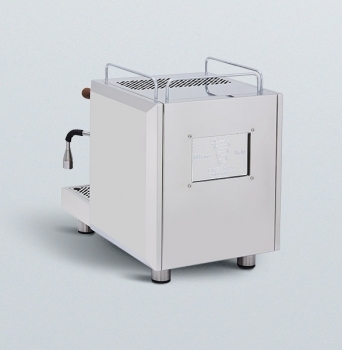 In both versions the hydraulic system powered by a rotary pump can use a 4-litre internal water tank or be connected to the water supply.